The Happy Cookbook will not only appeal to Steve’s legions of Fox & Friends fans, but to anyone looking for accessible, fun, and delicious food that will inspire great meals for every day and for special occasions. The Happy Cookbook includes a range of yummy dishes for breakfast, lunch, and dinner. 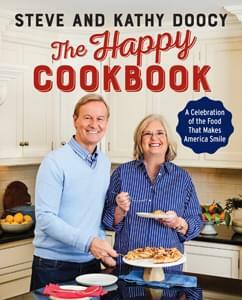 The Happy Cookbook by Steve and Kathy Doocy, available at Amazon.com.